Incorporating advertising in a website is essential for enhancing the overall revenue. 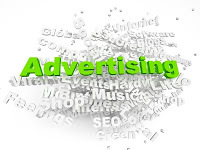 However, if you place advertisements blindly, chances are high that it will not yield any positive result. You need to place advertisements at strategic positions and modify them, so that they attract attention of your target audience. Here are few strategies you can consider for incorporating advertisements in your WordPress website design. Understand the fact that you are building up a loyal fan base, earning their trust is critical. In the website design industry, offering good information is the most effective way of convincing visitors about your intentions. For this reason, avoid placing excessive advertisements in your website. Stick to few advertisements and convince the visitors that you are genuinely interested in providing them with valuable information. Some people avoid placing advertisements in content section of the web page. Others, however, prefer the reverse. According to our opinion, placing advertisements within the content can be a smart strategy to enhance click-through rates. However, implementing such a strategy can be tricky. This is because of the fact that most people do not want to be interrupted, while reading the content. Therefore, if you place huge advertisements within the content that scream for attention, readers would feel irritated. This also interferes with professional image of the website. The best way to handle this situation is by choosing small-sized advertisements. Also, avoid placing the advertisement immediately after the article starts. Let the reader grasp basic concept of the content and thereafter, you can place the advertisement. This means that ideally, you should place advertisements 3-4 paragraphs into the article. Alternatively, you can opt for a small ad block and place it on the left or right section of the content. Most of us are aware of the fact that boring advertisements do not attract attention of the people. The same rule applies for website advertisements as well. Here, apart from the advertisement, developing creative ad block is also important. However, this does not mean that the ad block needs to be flashy. What we are saying is that for an interesting effect, you can spice up the ad blocks. You can opt for unique styles, including arrow glyph and borders to highlight the ad block. Such a strategy will enhance appeal of the advertisements, while attracting attention of the people. Another good strategy is to place advertisements in the sidebar. If you have extra space, you can also create two different sidebars. However, avoid placing advertisements in both sidebars because visitors may find it suffocating. Place crucial navigation links in one sidebar and incorporate advertisements in the other. To stay on the safe side, make sure that the advertisements stay above the fold. When it comes to advertisements, moderation is the key. Avoid the extremes-placing excessive advertisements or avoiding them totally. Stick to few advertisements, place them strategically, and you will be successful in earning trust of your visitors. Apart from websites, you can also use these tricks for blog customization. This article has been written by Amit Kumar Sarkar. Amit love to write and so by this article he share his knowledge which he gather during working for his company Quality Web Solutions.